On August 6, 1942, in the Warsaw Ghetto, Polish/Jewish hero Janusz Korczak marched with his orphans to the death trains and into legend. The man, his activities in the ghetto, and above all his famed final walk to the Umschlagplatz, are mentioned in many books and memoirs about the ghetto. The story of his final days also has been told many times in books for children such as The Champion of Children: The Story of Janusz Korczak, A Hero and the Holocaust: The Story of Janusz Korczak and his Children, and Janusz Korczak’s Children. The living Korczak’s story is told in Betty Lifton’s award-winning biography The King of Children: The Life and Death of Janusz Korczak. 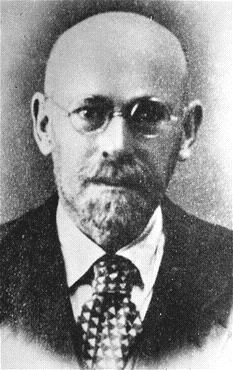 Korczak’s real name was Henryk Goldschmidt. He took the name Janusz Korczak (pronounced “ya-nish kor-chok”) for his writing and it wound up taking over his entire life, a la Mark Twain. Born in an observant Jewish household in Warsaw (which was then Russian Territory) in either 1878 or 1879,* he became man of the house after his father suffered a nervous breakdown in 1889 and eventually had to be hospitalized. By thirteen, bored by school, he was writing poetry and learning foreign languages by himself. He went to medical school and served as a military doctor with the Russian Army in the Sino-Japanese War of 1905-1906. Eventually he was promoted to the rank of major. Korczak’s true calling wasn’t in medicine, however, but in writing and in working with children. He found himself drawn to neglected and abused youngsters, and believed in treating every child with honesty and respect. While he was in China with the military, his first book, Child of the Drawing Room, became famous in Poland. He didn’t realize he was a celebrity until he returned home. He tried to distance himself from his writing and his fame and be an ordinary pediatrician, but people wanted to see him, to the extent that they would pretend their children were sick in order to entice him to their homes. Korczak wrote later that one woman claimed her sons had the flu and, when he made a house call, insisted on serving him tea. “Have you been writing anything lately?” she asked. “Prescriptions,” he replied, and left, realizing he’d been had. In 1910, he gave up his medical practice to start an orphanage for Jewish children age seven to fourteen. His institution was very different from most of that time and place, for Korczak had very democratic ideas: the children wrote their own newspaper and had their own parliament and court system. If one child had a falling-out with another, the urchin could “sue” and bring a case to be decided before the orphanage court, which met once a week. (Even teachers and other staff members could be sued.) The orphanage court also held trials for children accused of violating one of the home’s rules. Children were rewarded for good behavior, and spanked only as a last resort. Every child had a private, lockable drawer to hold their most precious belongings. Korczak carefully monitored the children’s health and also acted as a sort of informal therapist, encouraging them — most of them orphans from backgrounds of desperate poverty and abuse — to talk about their feelings. The children called him Pan (“Mister”) Doctor. When World War I broke out, Korczak left the orphanage to serve in the Army again. He left it in good hands, however, in the care of teachers and staff he had trained himself. “All the world is submerged in blood and fire, in tears and mourning,” he wrote sadly of his war experiences. It was while in the trenches on the Eastern Front that he began writing a book on child development, titled For The Love of a Child. In 1918, the war finally ended, Poland became a free and independent nation, and Korczak returned to his orphans in Warsaw. He stayed busy, setting up a second orphanage in 1919, and afterwards writing King Matt the First. The novel, a children’s story about a young boy who becomes king and puts the country’s children in charge, became a bestseller throughout the country in the wake of the calamity lately unleashed by the grown-ups. The sequel, King Matt on the Desert Island, was also a commercial success. 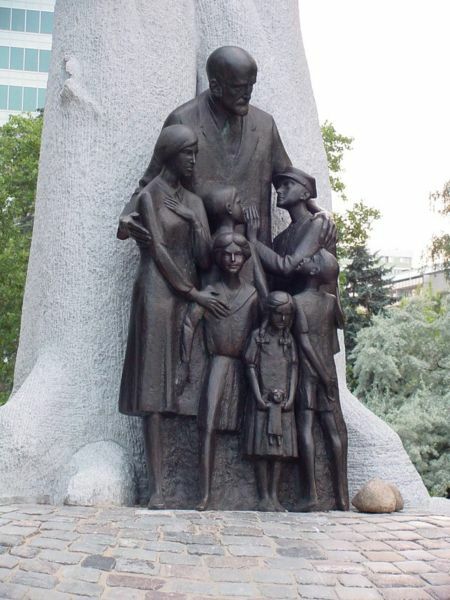 Korczak continued to work for his children, however; he consulted at Warsaw’s juvenile court, and in 1928 founded third orphanage, called Our Home, which had attached dormitories for teachers-in-training and was intended for Catholic children. In 1925, Korczak wrote another book called When I Am Little Again, told from the point of view of a middle-aged teacher and meant to be read by both children and adults. He started a children’s newspaper, the Little Review, in 1926. Saying he wanted to “defend children” in his new paper, he invited children from all over Poland to write and tell him the stories of their lives. The newspaper lasted until 1939. He also hosted a hugely popular radio show, using the name “Old Doctor.” The program was terminated in 1937, however, after only a couple of years; Korczak’s employers with the radio station were reluctant to keep a Jew on the air. When his identity became known, the right-wing press castigated him, saying that as Jew he could never be a real Pole and shouldn’t be allowed to educate Polish children. Like any public figure, Korczak had his critics. Anti-Semites called Our Home “a new nest of Masonry and potential Communism erected in the heart of the capital.” Communists said his institutions weren’t Communist enough; Zionists criticized him for not directing the children towards a life in Palestine; religious Jews said there wasn’t enough religion in the orphanages while assimilationist Jews said there was too much. In a follow-up study he conducted of all the former residents 21 years after the first of his institutions was opened, he found that only a few had turned to crime or prostitution as adults. The same could not be said for children who graduated from other children’s homes in Poland. During the 1930s, many of Korczak’s friends encouraged him to move to Palestine to escape the growing problems in Poland. He actually visited a kibbutz there, but he couldn’t make up his mind whether or to go; he had trouble leaning Hebrew and wasn’t sure a man of his age could start a whole new life. “I don’t have forty years to spend in the desert,” he wrote to a friend. Germany’s invasion of Poland in 1939 settled the question for him; leaving the country was no longer an option. Korczak volunteered for the Army again, but was turned down due to his age. As the Nazis tightened their strangehold around Poland and Poland’s Jews, Korczak did the best he could to shied his orphans from the chaos, suffering and bigotry around them. He turned his pen to appeals for funds for the children. As a protest against the occupation, he walked around the city openly in his old Polish Army uniform as well as the required Star of David armband. The Warsaw Ghetto was a kind of hell for Jews; allotted rations of only 800 calories a day — if they could get that — people died in droves of starvation and related diseases, including typhus and tuberculosis, as well as deliberate murder by the Nazis and their collaborators. Korczak put down his cigarette, took off his glasses in their cheap round metal frames, and began wiping them with his handkerchief as he always did when he was stalling for time. Korczak thanked his friend, but turned him down. He would take his chances in the ghetto. His decision was sensible for the time — the “Final Solution” had not been conceived of, and no one knew what the eventual fate of the ghetto residents would be. On the day they were scheduled to depart, November 29, the children lined up in the courtyard as rehearsed, while Korczak made a final inspection of the wagons filled with the coal and potatoes that he had so arduously procured on his daily rounds. The children waved goodbye sadly to the Polish janitor, Piotr Zalewski, who was staying behind to care for the house. His face was swollen almost beyond recognition from the beating he had received the day before when he and the laundress had applied to the Nazi police for permission to go into the ghetto with the orphans. The Germans had thrown the laundress out, but detained Zalewski for questioning. Didn’t he know that Aryans were no longer allowed to work for Jews? When the janitor replied that after twenty years of service he considered the orphanage his home, the Germans thrashed him with whips and rifle butts. The orphans tried to sing as they marched out of the courtyard and into the street, clutching their few possessions. The green flag of King Matt, with a Jewish star on one side, flew over the little parade as it made its way through the teeming streets the short distance to 33 Chlodna Street. When they reached the place where the wall cut along Chlodna, slicing its “Aryan” half off from the ghetto, they found German and Polish police at the gate demanding identification, as if they were crossing a foreign border. Within the ghetto, Korczak continued his activities for children’s welfare. He took the job as director of a hopelessly underfunded shelter that housed a thousand children; in spite of his efforts, the mortality rate there was sixty percent. Everywhere children were dying of starvation and disease on the streets or in filthy, overcrowded hovels; Korczak lobbied for the creation of a sort of hospice where they could at least breathe their last in clean, quiet surroundings. For himself he functioned mostly on pure willpower. It was hard for him to eat when he knew the children were hungry. Five shots of pure alcohol a day, mixed with water, provided precious calories. In the summer of 1942, it became increasingly apparent that the ghetto would be liquidated. Igor Newerly approached Korczak again and offered to help save whoever he could. Korczak declined his offer again, but gave him his diary for safekeeping — a sign that Korczak, too, knew the end was coming. He had decided to throw his lot in with the children. In July, the Nazis announced that there were “too many Jews” and they were sending away the children, the old, the sick and anyone else who could not work. Orphans, of course, would be at the top of the list. Resettlement meant death, and many of the ghetto residents knew it, although a substantial number clung to the hope that they would be placed in work camps and find someway of surviving a little longer. Adam Czerniaków, the Warsaw Ghetto Chairman and Korczak’s personal friend, took his own life rather than supervise the deportations. For the next few weeks, people were marched or dragged to the death trains, packed inside and driven off to the Treblinka Extermination Camp for gassing. Many people tried to hide, for the most part unsuccessfully, to escape being deported. Some of the ghetto residents were so hungry that they volunteered to go, because the Nazis promised bread and marmalade to anyone who reported of their own accord. Korczak’s orphanage’s turn came on August 6. He and the staff had made up their minds earlier: all of them would go together. And they would go quietly, in an orderly fashion, so as not to frighten the children. Their walk to the death trains, witnessed by thousands, has passed into Holocaust legend. Stefa followed a little way back with the nine- to twelve year-olds. There were Giena, with sad, dark eyes like her mother’s; Eva Mandelblatt, whose brother had been in the orphanage before her. Halinka Pinchonson, who chose to go with Korczak rather than stay behind with her mother. There were Jakub, who wrote the poem about Moses; Leon with his polished box; Mietek with his dead brother’s prayer book; and Abus, who had stayed too long on the toilet. As the group waited for the trains to leave, Korczak’s many friends were seeking out anyone with influence, desperately trying to get them out of Umschlagplatz and back to the orphanage to die another day. It was said that a German officer, who had been a fan Korczak’s King Matt books as a child, offered him the chance to leave — without the children. Korczak refused. His presence kept the children calm; if he left them they might panic. He knew what was coming, and he knew he could not force the children to face death alone. The fact that he was in such poor health and probably would not have survived the war in any case does not make his sacrifice any less. Eventually the orphans and the staff boarded the train and were hauled away. There were no survivors. His name is listed on a memorial stone at the site where Treblinka once stood — the only such stone with a name on it. Korczak’s books were translated into many different languages, including English, and some are still in print: his children’s novel King Matt the First, which was a best-seller in Poland when it first came out; Loving Every Child: Wisdom for Parents; When I Am Little Again and The Child’s Right to Respect, two books in one; and his final piece of writing, his Ghetto Diary. The editor Sandra Josephs also put together the compilation of his works called A Voice for the Child: The Inspirational Words of Janusz Korczak. Korczak’s legacy is not just in books; his name and image have been used in a lot of memorabilia over the years, and have appeared on stamps in Poland, Israel and Germany. In 1991, Polish filmmaker Andrzej Wajda made a film about Korczak and his last march. There are four statues of him in Warsaw, and a school for street children in Thailand is named after him. * His year of birth is uncertain; Korczak himself may not have known it.